The Hidden Path: What it Takes to Make It As An Artist. Most artist think that they need to be “discovered” in order to make a living and an impact. In this talk, Cory will show you examples of artists who make their living both with and without gallery representation, and use these examples to show you how to find your own art career path. 10 Lessons on Creativity from working with 20,000+ Artists. The corporate world often talks about needing creative ideas. Those creative ideas are secretly residing in your employees. After nearly a decade consulting with artists, Cory has learned that a large percentage of employees feel creatively stifled at work. 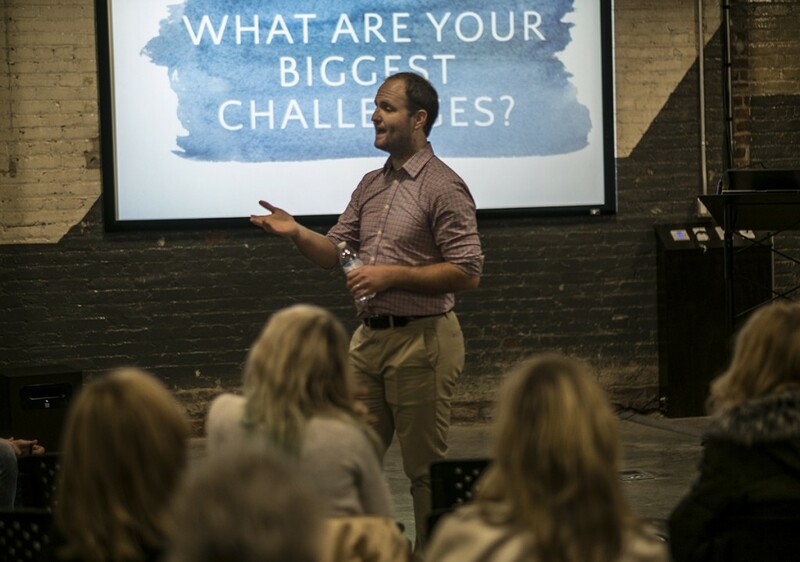 Cory will show you how to harness the existing creativity within your organization. The How to Sell Art Workshops. A two day workshop focused on taking your art business from poor, inconsistent sales to developing a long-term sales strategy that will help you connect with your ideal collectors and build an engaged audience that buys art. Cory is also a published author and regular guest contributor to a variety of magazines and news media including the Chicago Sun Times, IWillTeachYouToBeRich.com, and Professional Artist Magazine, Entrepreneur On Fire and Smart Passive Income. His writing has been read by more than 2 million people. If you would like to book Cory to speak for your group, please contact us.